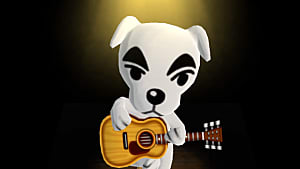 Holy moly, I love Animal Crossing: Pocket Camp. Yeah, okay. 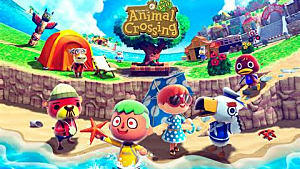 It doesn't have as many features as typical Animal Crossing games, and getting your friendships up is a pretty big grind, but I just can't get enough. I'm in love. After playing over the past week and grinding it out (Level 27 now, and more to come! ), I've decided to toss out some tips from me to you. Maybe you're brand new to the game, maybe you're just lost on how to do certain things -- whatever the reason or need, I've probably got some tips for you. We're going to go over the answers to some of players' most commonly asked questions, as well as provide some additional tips to help you get along. 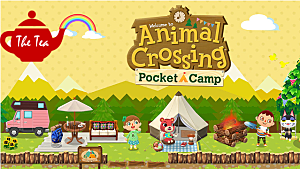 If you find my tips helpful, please take a look at my other snazzy Animal Crossing Pocket Camp guides! 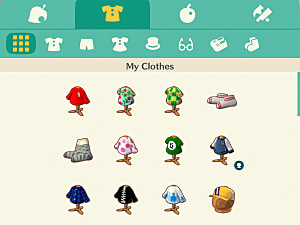 Tap on the 'Items' tab, then look for the clothing icon at the top of the menu and tap it. You can change clothes by tapping on them and then tapping -. Mix and match to get your perfect look! Tap on the 'More' tab at the bottom right, then tap 'Settings'. From here you can tap on the 'Edit character' button to change your hair and face. 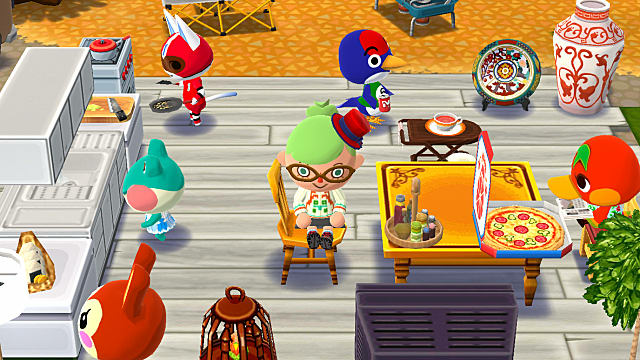 When you either install or upgrade an amenity, it grants 5 points to each animal of that nature who is currently visiting your camp. That's nothing to sneeze at, especially at higher levels. Installing or upgrading an amenity also increases the maximum friendship level you can have with the amenity's nature (cool, sporty, natural, cool). Plan your amenities accordingly. 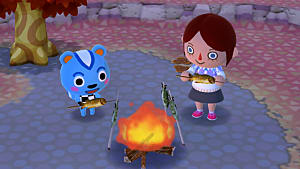 I like having Filbert at my camp. He's a cool guy, and I've had him as a visitor since my first day. But leveling my relationship with him has been deathly slow, mostly because he hasn't had many requests. 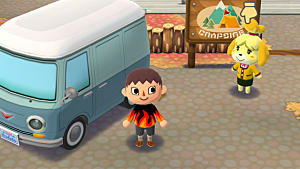 Animals at your campsite do not have requests for you very often -- this is something you're better off finding out sooner rather than later. You can talk to them every two hours or so to gain one point toward your friendship and get some crafting materials, but their requests will not refresh every three hours. Without requests, leveling crawls to a snail's pace. Keep animals in your camp who grant materials you need regularly, and let the rest run free so you can level up your relationship with them. If you don't want to pay attention to all that, just make sure to rotate your camp visitors regularly. Did you know each animal will always give you one particular type of material? They'll give you some extra materials of another type sometimes, but each one has a material they specialize in. I highly recommend choosing which animals you prioritize in your campsite based on the materials they grant. Check out my Pocket Camp animal crafting material gift guide for the details on that! This is probably my biggest problem with Animal Crossing: Pocket Camp, though it definitely makes gifting easier. All bugs and fish can be caught at any time of day. Weather, season, and time have no effect on which collected items will appear. 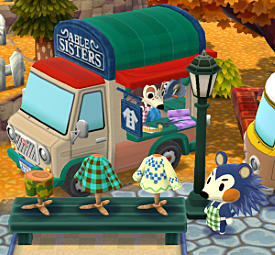 The Able Sisters sell clothes and hats while Kicks sells shoes and socks, but when do they rotate? To avoid running out of any specific collected item, always be sure to do some gathering when you're in an area that will allow it. Don't stress about your inventory space doing this -- just sell some of the items you have the most of when your inventory is full. Being able to craft more than one thing at a time will speed up your progress exponentially, and at least one should be your first Leaf Ticket purchase. I bought both and haven't regretted it one bit. Speaking of inventory space and Leaf Tickets, you absolutely want to pump all or the vast majority of your Leaf Tickets into expanding your inventory, which you can do by tapping on the plus sign icon at the end of your inventory list. Go to your 'Contacts' menu and tap an animal who is neither visiting your campsite nor on the map. 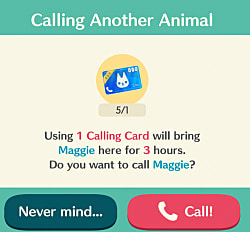 You can tap the 'Call' button to be presented with the option to use a Calling Card and invite the animal to come by for 3 hours. 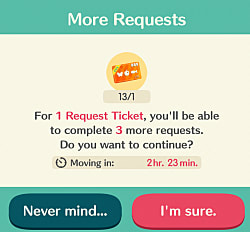 You can only use a Request Card on an animal if you've already fulfilled their three requests for the three hour period they're around. If you've already fulfilled all three requests, you can talk to the animal and choose the top option asking if they need anything. You will then be asked whether you want to use a Request Card. Having friends is pretty useful. You ask them for help to enter Shovelstrike Quarry, and you can easily check out the first part of their Market Box from the Friends menu before you decide to visit them and spend your hard-earned Bells. Buying collected items from other players costs more than if the game sold them to you, but it's an easy way to keep your progress moving along. To sell regularly or via Market Box? That is the question! You can easily make more money selling your collected items via your Market Box than selling it to the system . . . but there is no guarantee people will buy your goods. If you have a lot of friends, going the Market Box option is almost a no-brainer as long as you price your goods reasonably. But do note: Once you put something in the Market Box, you can never get it back. I recommend this not because it raises the chances of people helping you out (it does), but because of a theory that may increase your winnings in the Shovelstrike Quarry. 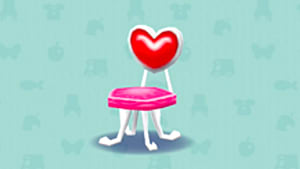 Though yet to be proven, the theory is that the amount of friends who help you affects the maximum Bells and Essence you can get from the Quarry. The more who help, the more you can get. I haven't tested this extensively enough yet to say this is a certainty, as your rewards are based on the ore you dig up. After testing over another week or so, I will update this section. Did you know you can get 50 free Leaf Tickets without even trying? 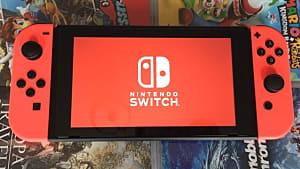 What about the fact you can earn My Nintendo points by playing the game and spend them on some goodies? You have to make a Nintendo account first, though. Tap on the 'Misc' tab and then tap on 'My Nintendo' to find your way to the rewards panel. If you tap on 'Missions' you can collect points for in-game activity and also for linking your account to your My Nintendo account and social media accounts. This is also currently the only way to get the OK Motors jacket and cap, each costing 300 My Nintendo points. 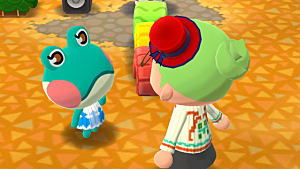 Plus there's a 5,000 Bells repeatable purchase that's way too tasty to pass up. This can be done from the 'Settings' menu found in the 'More' tab. Just head there and scroll down to find the Power-Saving Mode option. You can check to see if a piece of furniture or an item can be directly interacted with by your visitors before you put it down. Heck, you can even do it just perusing your inventory. Whether in the 'Place Item' menu or your inventory itself, tap on the item you're curious about and then tap on 'Details' to the right. Items with interactions will have something under the 'Animal Reactions' section of the item info. This is good to know if you want to see your campers active when visiting. I know I like watching them cook! That's it for my tips for now. 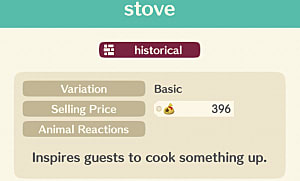 If you enjoyed the tips and found them useful, please take a gander at my other Animal Crossing Pocket Camp guides to learn about fish, how to make a particularly troublesome piece of furniture, and other useful tidbits to help you on your way. 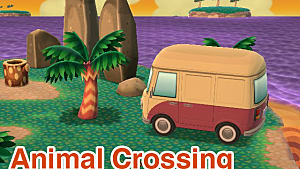 Is a New Animal Crossing Game on the Horizon?